A traditional Applecross croft cottage with open fires and superb views. Price range: £380 to £590. Includes: Free Wi-Fi, free electricity/coal/firewood, free local and incoming phone calls. Submit an enquiry or email bjgillies@yahoo.com for more details. Culduie Cottage is our family croft cottage in Culduie, a small hamlet of ten cottages on the peninsula of Applecross, Wester Ross, in the Highlands of Scotland. The cottage can sleep up to four people and is available for self-catering holiday lets at reasonable prices. 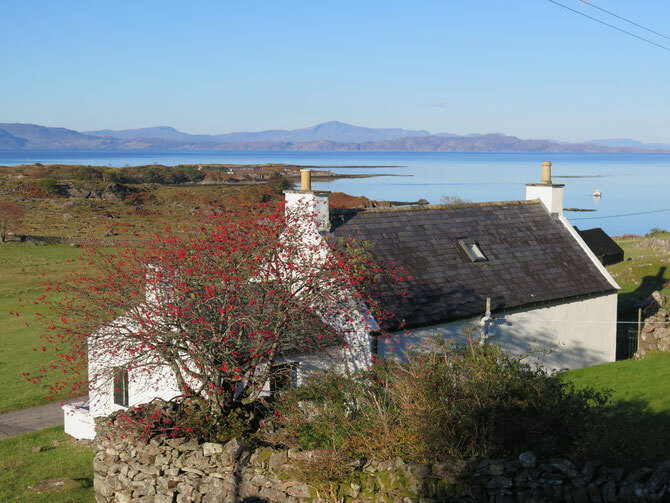 The cottage is comfortably furnished and enjoys stunning views across the Inner Sound towards Raasay, Rona and the magnificent Cuillin hills on the Isle of Skye. It is situated in its own secure grounds and is surrounded by open croft land. See where we are on the map below or have a look on Google street view. 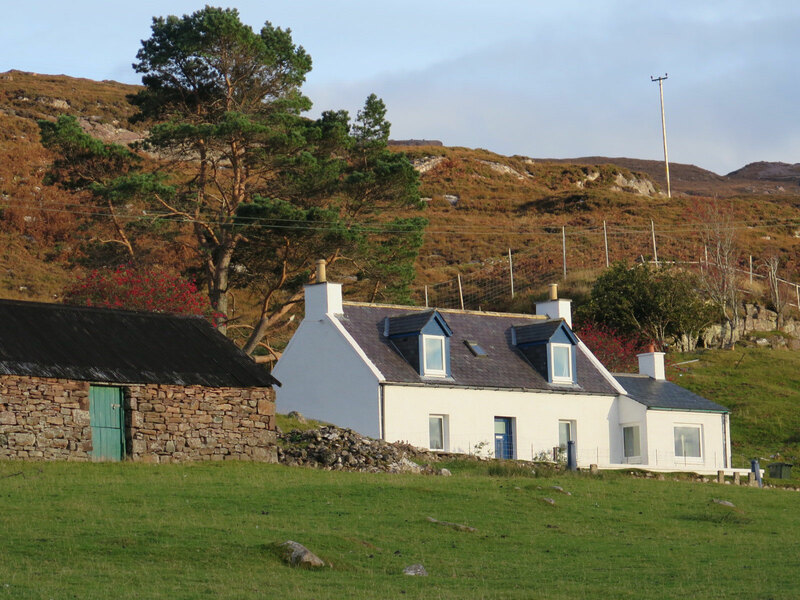 If you are interested in the history of the area, there's lots of information on our Applecross history blog.